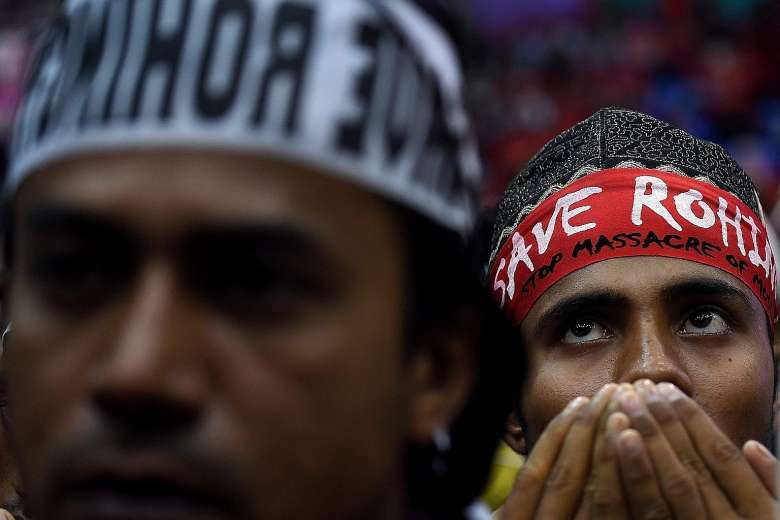 Singapore continues to encourage all parties, including the Myanmar government and the international community, to work together to foster a long term-solution to the Rohingya refugee crisis, Foreign Minister Vivian Balakrishnan said yesterday. This is so that the affected communities can rebuild their lives, he added. Dr Balakrishnan was responding to parliamentary questions from Mr Louis Ng (Nee Soon GRC) and Mr Muhamad Faisal Abdul Manap (Aljunied GRC) about Singapore's response to the plight of Rohingya Muslims fleeing a military crackdown in Myanmar's Rakhine state. The operation was launched after attacks on police posts in October last year. Singapore's position is that every government must ensure the safety and protection of all its people regardless of race or religion, said Dr Balakrishnan. At the same time, it is also the right and responsibility of every state to secure its borders and maintain internal security, the minister added. He noted that issues of race, language and religion are sensitive and complex everywhere, including in Singapore. And in the Rakhine state, inter-communal relations have deep historical roots and are highly complicated, he said. "These issues are not going to be resolved easily or quickly in the short term. Patience, restraint and time will be required to build trust among the different communities, to foster racial harmony, and to restore peace and stability for the long term," he added. Last month, Singaporeans raised more than $350,000 for humanitarian support to affected communities in the Rakhine state, as well as those affected by the earthquake in Aceh. "The funds for the Rakhine state will be channelled through Myanmar-based organisations to assist all affected communities, regardless of ethnicity or religion," said Dr Balakrishnan. But he stressed the need for a political solution. "Having any area in South-east Asia where there is an unresolved festering conflict, especially one that involves race, language or religion, poses an immediate and urgent threat (not just) to the country, but also to South-east Asia as a whole," he said. Dr Balakrishnan also updated MPs on the Asean foreign ministers' informal meeting he attended in Myanmar on Dec 19 last year, during which Myanmar's State Counsellor and Foreign Minister Aung San Suu Kyi briefed her counterparts on the Rakhine situation. He said the meeting was open, frank and constructive, and was timely and useful in helping Asean to better understand Myanmar's efforts in addressing the sensitive and complex situation. The discussions focused on making sure that humanitarian aid would reach the communities in need, said Dr Balakrishnan. He added that after the meeting, the Myanmar government indicated it would grant the necessary humanitarian access and continue to keep Asean informed of developments in the Rakhine state.